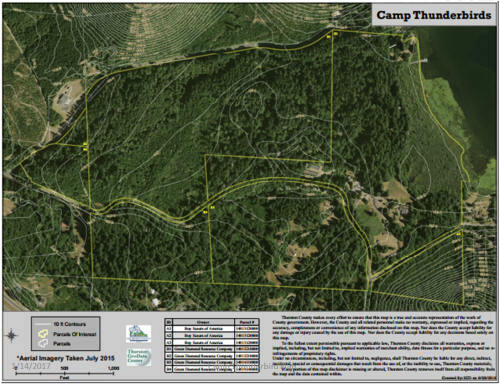 Camp Thunderbird Redevelopment Overview, by Brandon Beebe. be a lengthy and challenging process. 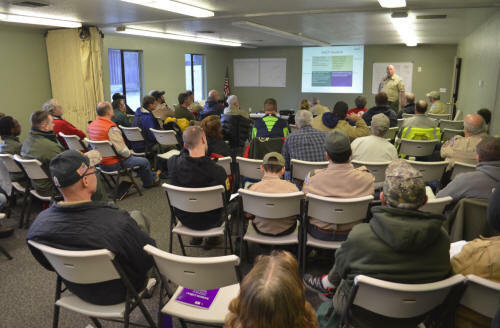 A conference of stakeholders of Camp Thunderbird was held on January 14, 2017, with the purpose of sharing the Council's long range plans for the camp, and to solicit ideas and feedback going forward. This section of the website contains presentation materials shown at this conference. 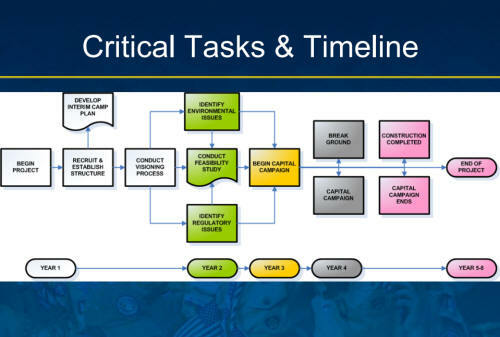 The Powerpoint presentation given at the recent Camp Thunderbird Stakeholder Conference by Bob Marlatt may be downloaded here. Camp Thunderbird is PHC�s single - multi-use camp. Camp is a quality environment that is a place families want to come and participate. Facilities are modern and well maintained. Camp is designed for the BSA programs that it supports. Camp is themed after the Salish Nation (Northwest Indian Art) creating a heritage center the community will support. 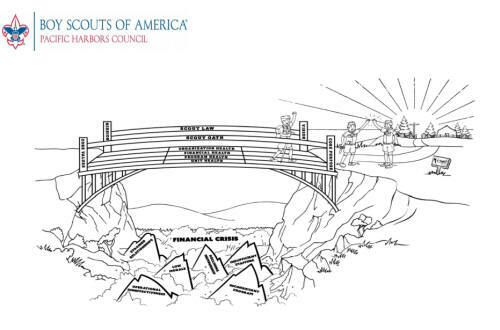 Camp is a financial net contributor to the Council. Other Area youth groups are users of the camp. Become foremost environmentally friendly camp to facilitate outdoor education. The Plan for recovering from our financial issues, by Mark Crawford. Why are we here and how did we get here? Operating Budget: What does a fully staffed council look like and what will it take to get there? Vision of PHC in the short, medium and long term.